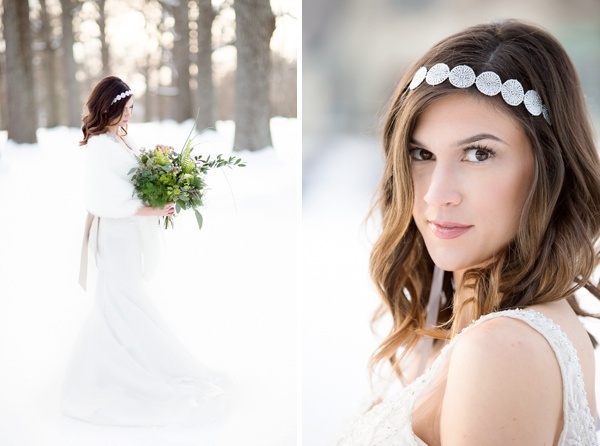 "She has made me in love with the cold climate, and frost and snow with a northern moonlight..."
Let it snow, let it snow, let it snow! 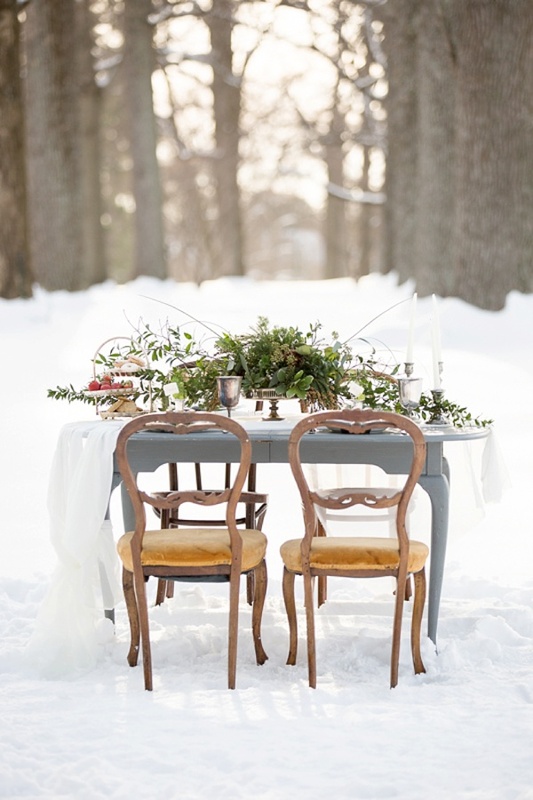 In a notoriously summer-minded culture, winter sometimes gets the cold shoulder (pun totally intended) when it comes to weddings and events. 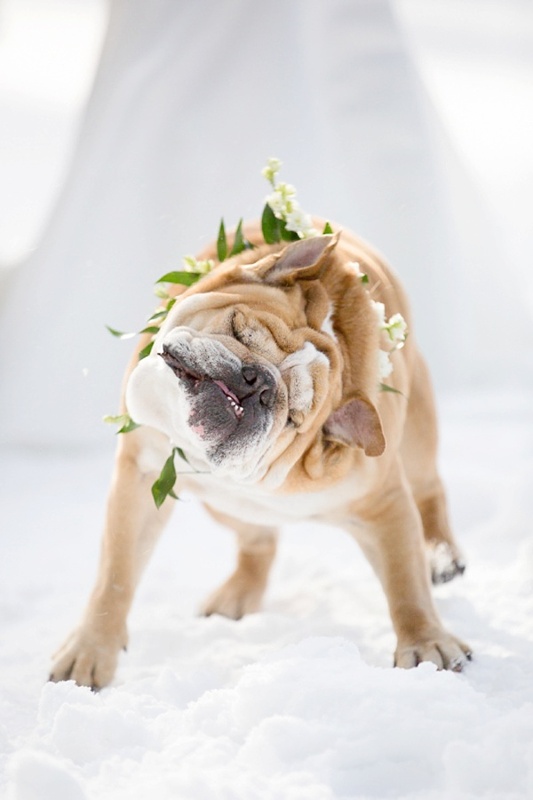 And we think that's a bummer! 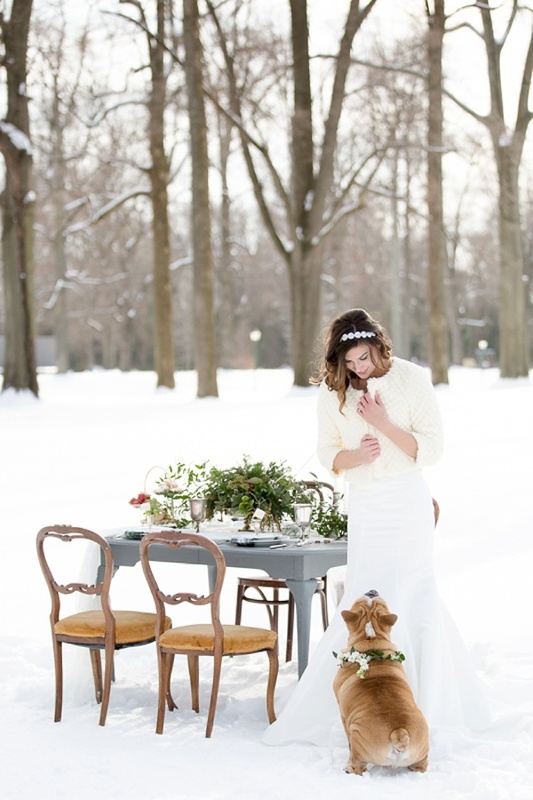 Every season brings something magical to the table when it comes to saying I Do, and it is always a mutual excitement when others are just as in awe at the beauty of the season as we are. 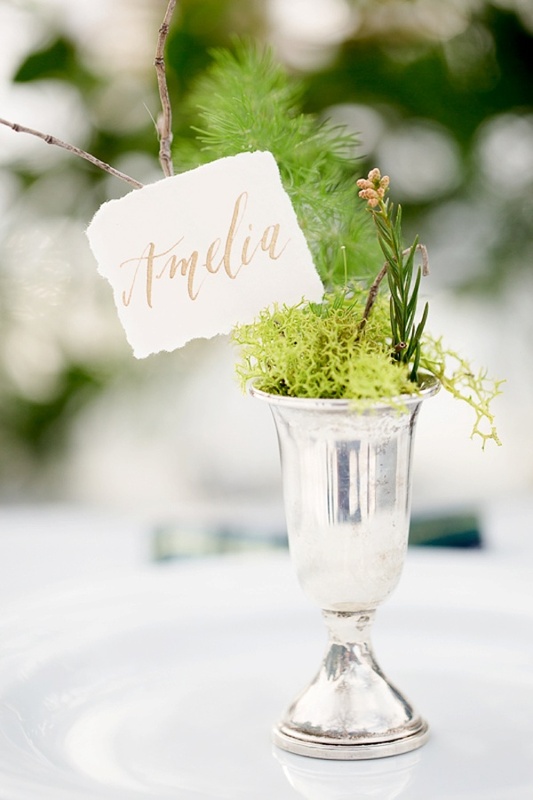 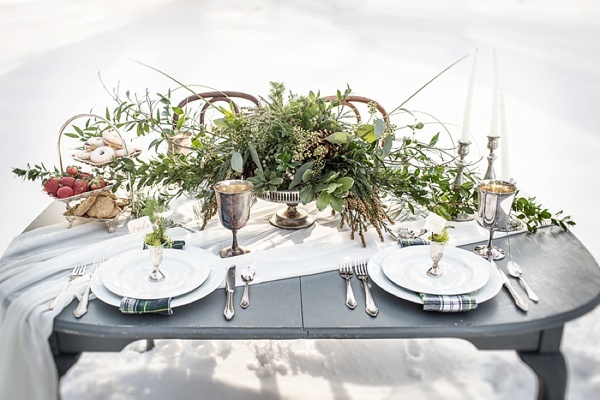 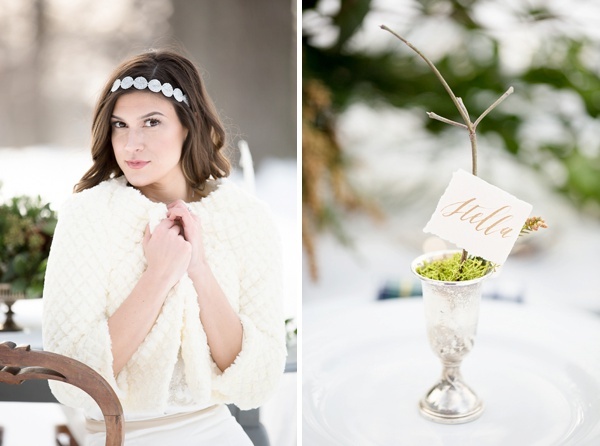 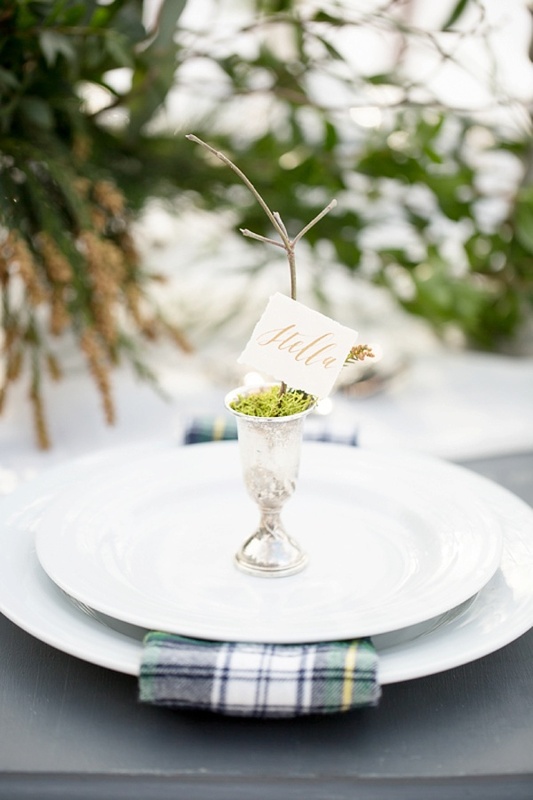 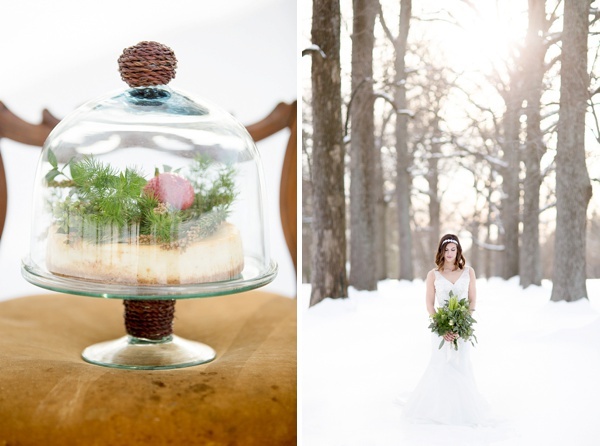 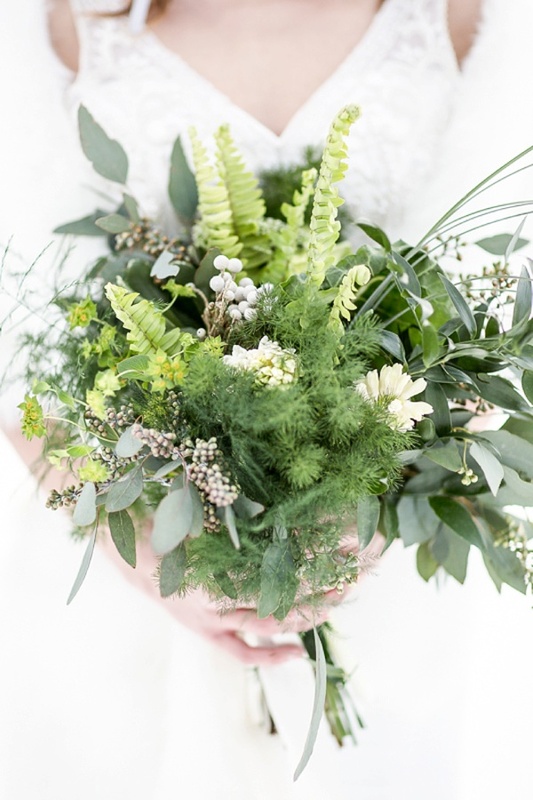 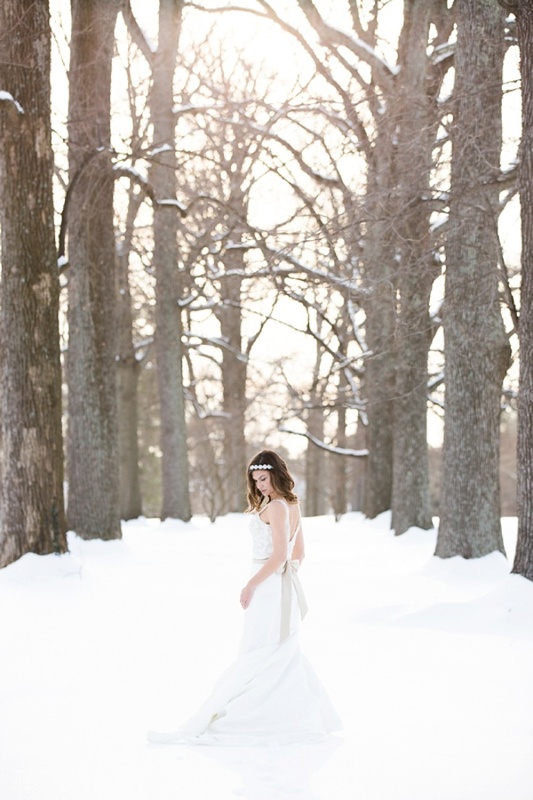 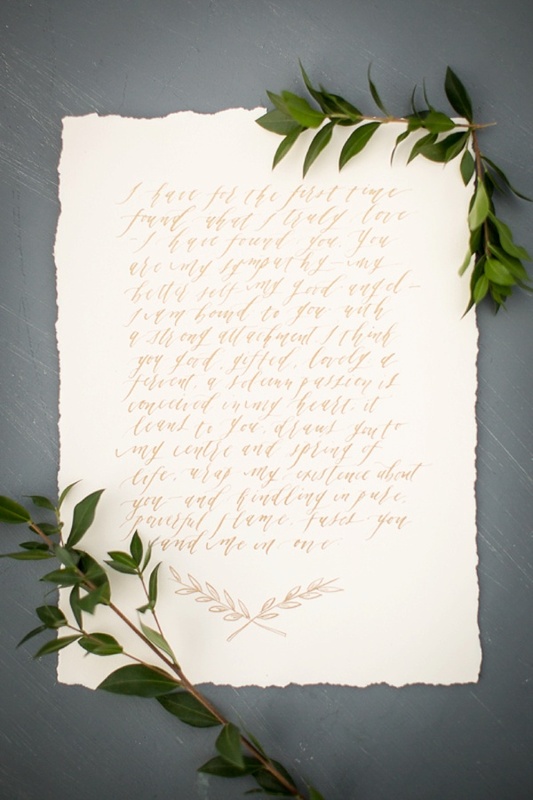 Inspired by the Virginia landscape during winter, Mary Otanez Photography and LK Events and Design wanted to reimagine a cold weather wedding with the beauty of freshly fallen snow in Richmond. 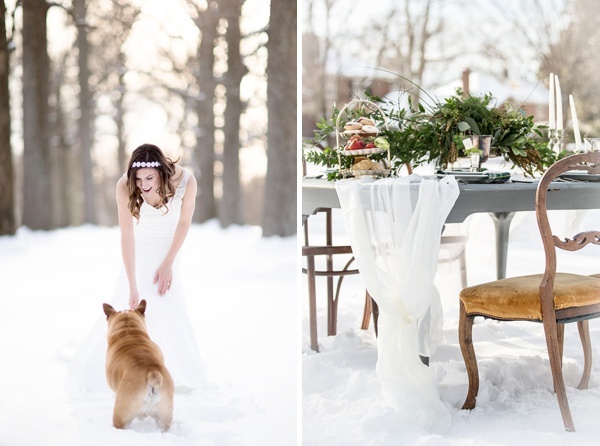 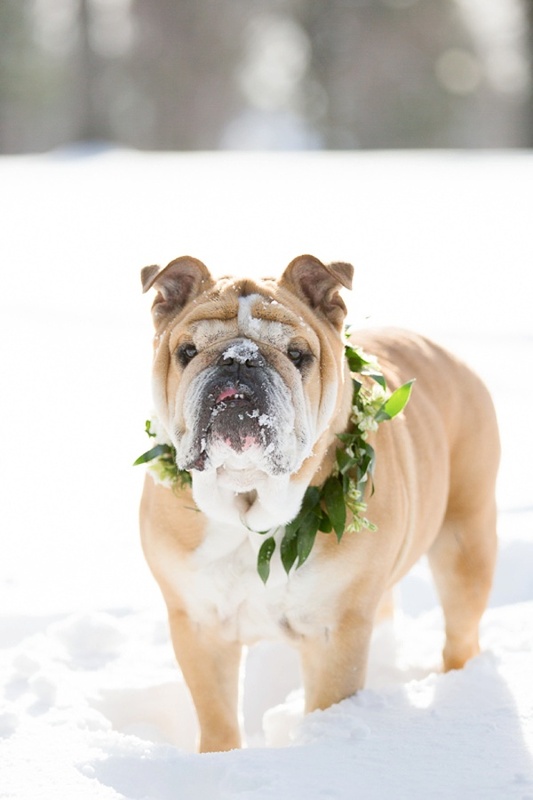 Through greenery with a wild and foraged appeal, warm gold neutrals in makeup, vintage furniture, romantic place cards handwritten in modern calligraphy, and one adorable bulldog companion donning a coordinating floral collar, you can absolutely still achieve a romantic and warm look even in the chilliest months of the year.